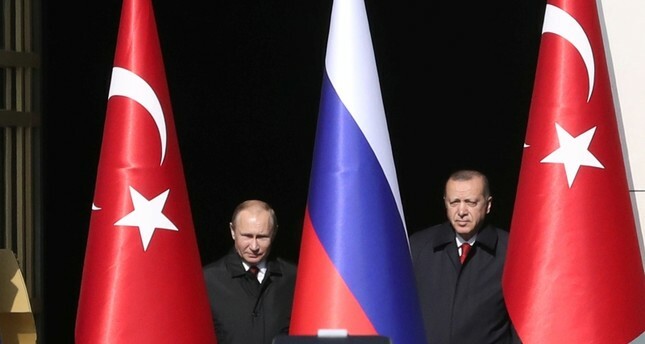 President Recep Tayyip Erdoğan Saturday told his Russian counterpart Vladimir Putin that the accord aimed at containing the Syrian conflict would be destroyed if Assad regime forces advance towards Idlib. In a phone call with Putin, Erdoğan said the regime attacks on Syrian civilians in Daraa were "worrying" and warned against expanding the attacks to Idlib. The Turkish president also said encouraging the Syrian opposition to attend the upcoming Astana talks on July 30-31 is important to prevent negative developments in Idlib. The two leaders agreed to have a bilateral meeting at the BRICS meeting in Johannesburg. Starting June 19, regime and Russian bombardment pounded opposition areas in Daraa and in the neighboring province of Quneitra, ostensibly protected by an internationally agreed ceasefire. The onslaught came to an end with the July 6 ceasefire. Regime forces now hold more than 80 percent of Daraa province, according to the Syrian Observatory for Human Rights, a Britain-based war monitor that relies on a network of sources inside the country. Syria's conflict has killed more than 350,000 people and displaced millions since it started in 2011.